High Intensity Interval Training (HIIT) boomed into the fitness industry a few years ago as if it was a new revolutionary way of training. However, this form of training has been used as early as the 1920’s with Finnish Olympic long-distance runner Hannes Kolehmainen, who utilised interval training within his programming. There are many claims that HIIT is better than some other forms of cardio, yes it is a fun and fast way of training but it all depends on your goal. HIIT has its place as do all other methods of cardio. Improve the performance of competitive athletes. Improve the health of recreational gym goers. Display similar benefits to continuous-endurance training in fewer workouts and durations. 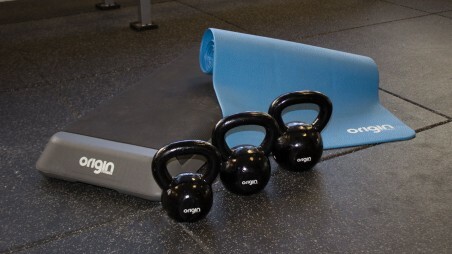 HIIT involves pairing periods of intense high-energy exercise with low-effort rest intervals. Due to its nature, altering the periods of exercise and recovery allows you to create an infinite number of interval training workouts. However, this work: rest ratio should generally be designed to challenge specific energy systems of the body. Cardio equipment e.g. rower, exercise bike and treadmills. Specialist items like Wattbike, Airbike, Turbo Trainer or the Cybex SPARC. There are many benefits to HIIT training therefore the target audience ranges from competitive athlete to general gym goer. During HIIT you have an increase of production in epinephrine and norepinephrine, this has been suggested to be a catalyst for improving fat loss. These fight or flight hormones have been demonstrated to enhance lipolysis (the breakdown of fat) and increase the release of fat from intramuscular and subcutaneous fat stores for fuel during exercise. There is speculation that HIIT may target lower abdominal fat stores due to the specialised β-adrenergic receptors on fat cells known to activate lipolysis, which are found in deep abdominal fat (visceral fat). Improved VO2MAX – the bodies upper limit for oxygen uptake, distribution and energy production, a good predictor of exercise performance. Improved stroke volume – stroke volume is the amount of blood pumped out of the left ventricle at any given time. In turn this delivers, oxygen to muscles, heat to skin, nutrients and fuel to tissues. Therefore, when SV is improved it enhances the delivery of these and in turn improves performance (and VO2MAX). Increased left ventricle heart mass and cardiac contractibility - this can also be called ‘athletes heart’. 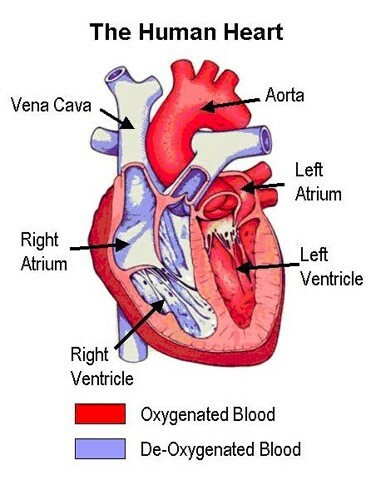 This hypertrophy in the left ventricle leads to lower heart rate and the heart becomes more efficient at pumping blood around the body due to a higher cardiac output. An improvement in HDL cholesterol (high density lipoprotein, ‘good cholesterol’) can be seen after eight weeks of HIIT, however, changes in LDL cholesterol (low-density lipoprotein, ‘bad cholesterol) and blood triglycerides needs to be accompanied with a moderate decrease in body fat. A 2%-8% reduction in systolic and diastolic blood pressure after 12 weeks of HIIT with subjects not being treated with hypertension medicine. Improvements in endothelial function have been demonstrated after HIIT along with improvements in the elasticity of arterial blood vessels. Increase in size and number of mitochondria – Mitochondria uses oxygen during aerobic exercise to produce ATP (adenosine triphosphate) through the breakdown of carbohydrates and fat. Therefore, as mitochondrial density and size increases, more energy is available for the working muscles to produce greater force for a longer period of time. Increase in mitochondrial oxidative enzymes – leads to a more effective carbohydrate and fat breakdown to fuel the body. Improved insulin sensitivity (2-16 weeks programme). Exercising muscle contractions stimulate GLUTE-4 transporters (glucose shuttle transporters) to uptake glucose from the blood into the working muscle whether insulin is available or not. It has also been hypothesized that due to the greater depletion of glycogen that occurs in HIIT, that this may enhance muscle glucose uptake. Increased fat oxidation after six weeks (three sessions a week) of HIIT training. Shift to fat oxidation over carbohydrate oxidation in as little as two weeks. Excess post exercise oxygen consumption (EPOC). As oxygen consumption remains elevated after the session is complete the muscle cells are still working to try and restore their pre-exercise levels. Therefore, this means there is an increased caloric expenditure continuing after the HIIT session has ended. Due to the fact HIIT training can be more ‘fun’ and less time consuming than regular continuous exercise it has been reported that this has improved adherence to exercise programmes to improve health and fitness. The built in recovery period of low intensity exercise has been shown to produce a positive response. Work intervals can last for example anything from around five seconds to eight minutes. Power or endurance? If power is your goal then shorter intervals are more suited, and if endurance is your goal then 30 seconds plus is more suited. The intensity of the work interval should be around 80% to over 100% of VO2MAX, heart rate max or maximal power output – if you do not have these values then going by the intensity, your RPE (rate of perceived excursion) should be pretty high, 7+ (1 being nothing at all, 10 being max). It should be a tough workout in most cases. Rest interval intensity can range from passive recovery (complete rest) to active recovery (50%-70%). The ratio of work:rest is an important consideration when you are aiming to train a specific energy system. Common examples are a 1:1 ratio (e.g. 30 seconds on, 30 seconds off) or a 1:2 ratio (30 seconds on, one minute off). The exercise and recovery ratio depends on the energy systems you want to train, how much you want to deplete and replenish your energy stores in each interval and rest period. Exercise selection. As listed earlier this is where you can make things interesting. There are so many methods available. Appropriate for low risk individuals. Medium risk individuals cleared by a medical profession. High risk individuals under direct supervision during training. One of my favourite sessions: Tabata style is 8 x 20 seconds on, 10 seconds rest. Fast and effective! 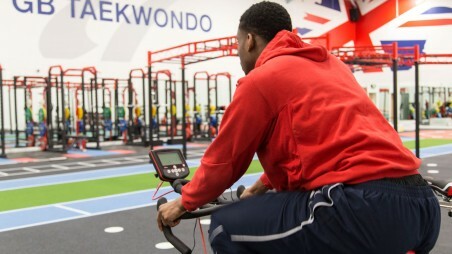 Great on the concept 2 rower, indoor cycle or Cybex SPARC. Gaesser, GA, Angadi SS. High-intensity interval training for health and fitness: can less be more? J Appl Physiol. 2011;111(6):1540–1541. Kilpatrick, Marcus, W., Jung, Mary, E., Little, Jonathan P. High-Intensity Interval Training. A Review of Physiological and Psychological Responses. American College of Sports Medicine. 2014;vol.18(5). 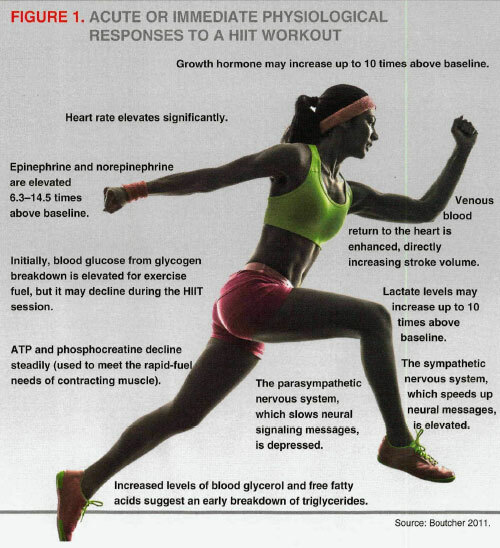 Kravitz, L. Metabolic Effects of HIIT. IDEA Fitness Journal. 2014. Tabata I, Irisawa K, Kouzaki M, Nishimura K, Ogita F, Miyachi M. Metabolic profile of high intensity intermittent exercises. Med Sci Sports Exerc. 1997 Mar;29(3):390-5. Zuhl, M., Kravitz, L. HIIT vs. Continuous Endurance Training: Battle of the Aerobic Titans. IDEA Fitness Journal. 2012. This entry was posted in Knowledge & Advice, Training Guides on 17th February, 2016 by Claire Tracey.